People have been using herbal medicines for thousands of years to meet their health needs. Self treatment is suit the primary use of herbs today, even though enlightened clinics and practitioners are beginning to incorporate herbal remedies as complementary medicines. We’re often taught to think of herbs as natural drugs. While we must recognize and respect the power of herbal medicines, they are really foods with medicinal qualities. They combine with our bodies as foods do, so they are able 10 address both the symptoms and causes of a problem. As nourishment, herbs offer the body nutrients it may not always receive, cither because of poor diet, or environmental deficiencies in the soil and air. As medicine, herbs are essentially body balancers that work with the body functions, so that it can heal and regulate itself. Herbs work like precision instruments in the body, not like sledge hammers. Herbal medicines can focus on a special problem or be broad-based for overall support. 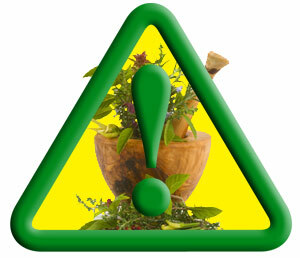 Most herbs, as edible plants, are as safe to take as foods. Herbs offer a rich variety of healing elements with almost no side effects. Occasionally, a mild allergy-type reaction may occur as it might occur to a food, a personal response to a certain plant. This could happen because an herb has been adulterated with chemicals in the growing or storing process, or in rare cases, because incompatible herbs were used together. The key to avoiding an adverse reaction is moderation. Anything taken to excess can cause side effects. Use common sense, care, and intelligence when using herbs for either food or medicine. Drugs on the other hand, are not nourishing. They work exactly the opposite from foods. Drugs run powerful interference against a harmful process that’s happening in your body in order to stabilize it. They disrupt a cascade of harmful events in order to arrest a serious conclusion. Your body, especially your immune system, always tries to normalize itself. But as the disruption process over time takes your body further from normal, your immune system finally doesn’t know what normal is – and ends up attacking the wrong elements, or everything, in confusion. That’s where immune-compromised illness comes in. America is at a crisis point with immune-imperiled diseases like Candida, chronic fatigue syndrome. Hashimotos, fibromyalgia and lupus. They affect a woman’s delicate body balance most. They are way under-diagnosed by our health care system, and they’re reaching epi­demic proportions. It’s a big reason we’re having so much trouble with our health care system today. Are we looking at medicine from the wrong end of the telescope? Modern medicine is only concerned with sickness. All drugs are formulated for, and marketed to, someone who is sick. All lab testing is done on infected cells. We never see how a drug might affect healing cells or healthy cells, or someone who is not sick. Two thirds of the drugs on the American market today are based on medicinal plants. …Herb in their whole form are not drugs. Do not expect the activity or response of a drug, which normally treats only the symptoms of a problem. In general, you have to take more and more of a drug to get continuing therapeutic effect. …Herbal medicines work differently in our body. Herbs are foundation nutrients. They nourish the body’s deepest, most basic elements, like the brain, glands and hormones. Herbs work to normalize, balance and support at the cause of a problem, for a more permanent effect. Results seem to take much longer. Even so some improvement from herbal treatment can usually be felt in three to six days. Chronic or long standing problems take longer, but herbal remedies tend to work more quickly with each new infection, and new cases of infections grow lower and further between. A traditional rule of thumb is to expect one month of /or every year you have had the problem. Balance is the key to using herbs for healing. Herbal combinations are not addictive, but they are powerful foods that you should use with care. It takes a little more attention and personal responsibility than mindlessly taking a prescription drug, but the extra care is worth far more in the results you can achieve for your well-being. As with other natural therapies, there is sometimes a “healing crisis” during an herbal healing program. This is known as the “Law of Cure,” and simply means that you may seem to get worse before you get better. The body generally eliminates toxic wastes heavily during the first stages of a cleansing therapy. This is especially true in the traditional three to four day cleansing fast that many people use to begin a serious healing program. Temporary-exacerbation of symptoms can range from mild to fairly severe, but usually precedes good results. Herbal therapy without a fast works more slowly and gently Still, some weakness may be felt as disease poisons are released into the bloodstream to be flushed away. Strength shortly returns when this process is over. Watching this phenomenon allows you to observe your body at work healing itself…..an interesting experience indeed. Herbs work better when taken along with a natural foods diet. Everyone can benefit from an herbal formula, but results increase dramatically when Fresh foods and whole grains form the basis of your diet. Subtle healing activity is more effective when it doesn’t have to labor through excess waste material, mucous, or junk food accumulation. Interestingly, herbs themselves can help counter the problems of “chemicalized foods.” They are rich in minerals, the basic element missing or diminished in today’s quick-grow, over-sprayed, over-fertilized farming. Minerals and trace minerals are a basic element in food assimilation, providing not only the healing essences to support your body in overcoming disease, but also the foundation minerals that allow it to take them in! Your body has its own unique, wonderful mechanism. It has the ability to bring itself to its own balanced and healthy state. Herbs simply pave the way for the body to do its own work, by breaking up toxins, cleansing, lubricating, toning and nourishing. Herbs promote elimination of waste matter and toxins from the system by simple natural means. They support nature in its fight against disease. Herbs work better in combination than they do singly. Like the notes of a symphony, herbs work better in harmony than standing alone. A good herbal formula gives your body a wealth of subtle healing essences from which to choose. Herbs work synergistically together…. one and one can make three. 2: A good combination contains two to five primary herbs for specific healing purposes. Since all body pans, and most disease symptoms, are interrelated, it is wise to have herbs which can affect each pan of the problem. For example, in a prostate healing formula, there would be herbs to dissolve sediment, anti-inflammatory herbs, tissue-toning and strengthening herbs, and herbs with antibiotic properties. 3: Herbs are foods, full of nutrients… and nutrients always work best as a team. Thus a combination of herbal nutrients gently stimulates the body as a whole, encouraging body balance rather than a large supply of one or two focused properties. 4: A good combination includes herbs that can work at different stages of need. A good example of this is an athletes formula, which includes herbs for short term energy, long range endurance, muscle tone, glycogen and glucose use, and reduction of lactic acid build-up. 5: A combination of several herbs with similar properties increases the latitude of effectiveness, not only through a wider range of activity, but also by reinforcing herbs that were picked too late or too early, or grew in adverse weather conditions. No two people, or their bodies, are alike. Good response is augmented by a combination of herbs. 6: Finally, certain herbs, like capsicum, lobelia, mandrake, tansy. Canada snake root, wormwood, woodruff, poke root, and rue are beneficial in small amounts and as analysts, but should not be used alone. How should you take herbs for the most benefit. —Herbs are not like vitamins. Herbs are like healers and vitamins like Insurance policies. —Herbs should not be taken like vitamins. Vitamins work best when taken with food. Herbs are foods… so its not necessary to take herbal formulas with food Herbs combine and work with the body’s enzyme activity as foods do. Herbs have their own plant enzymes that work with yours, except for some food-crown vitamins, vitamins are partitioned substances. Vitamins work well to shore up nutrient deficiencies, but they do not combine with the body in the same way as foods or herbs do; excesses are normally flushed from the system. Unlike vitamins, herbs provide their own digestive enzymes for the body to take them in. In some cases, as in a formula for mental acuity, the herbs are more effective if taken when body pathways are clear, instead of concerned with food digestion. Taking herbs all the time is like eating large quantities of a certain food all the time. Your body may receive imbalanced nourishment from nutrients that are not in that food. This is also true of multiple vitamins. They work best when strengthening a deficient or weak system, not as a substitute for a good diet. However, superfood plants like green grasses, sea plants, aloe, and green algae, and adaptogen tonics like ginsengs and bee products can be taken for longer period: of body balancing. Therapeutic herbs work best when used as needed. Dosage should be reduced and discontinued as the problem improves. Herbal effects are often specific; take the best formula for your particular goal at the right time — rather than all the time —for optimum results. Rotating and alternating herbal combinations according to your changing health needs allow your body to remain responsive to their effects. Reduce dosage as the problem improves. Allow your body to pick up its own work and bring its own vital forces into action. If you are taking an herbal remedy for more than a month, discontinue for one or two weeks between months to let your body adjust and maintain your personal balance. Achieve best results by taking herbal capsule combinations in descending strength: 6 the first day, 5 the second day, 4 the third, 3 the fourth, 2 the fifth and 2 the sixth for the first week. Rest on the 7th day. When a healing base is built in the body, decrease to the regular dose recommended for the formula. Most combinations should be taken no more than 6 days in a row without a break. Take only one or two herbal combinations at the same time. Address your worst problem first. Take the herbal remedy for that problem — reducing dosage and alternating on and off weeks as necessary to allow the body to thoroughly use the herbal properties. One of the bonuses of a natural healing program is the frequent discovery that other conditions were really complications of the first problem, and often take care of themselves as the body comes into balance. Herbs are amazingly effective in strengthening your body’s immune response. But the immune system is a fragile entity. It can be overwhelmed instead of stimulated. Even when a good healing program is working, and obvious improvement is being made, adding more of the medicinal agents in an effort to speed healing can aggravate symptoms. Even for serious health conditions, moderate amounts are the way to go, mega-doses are not. Much better results can be obtained by giving yourself more time and gentler treatment. It takes time to rebuild health. Herbs can be ideal for self treatment in maintaining health. They are potent medicines, yet clearly have few, if any side effects, and are almost always safe when used in their whole (food) form. They often work well in a complementary role with more conventional medicines, especially after an emergency problem is arrested and stabilized. But be smart Learn about the herbs you are taking. You’ll be able to use them more effectively. See the following section for specifics on standardized herbs and drug interactions.